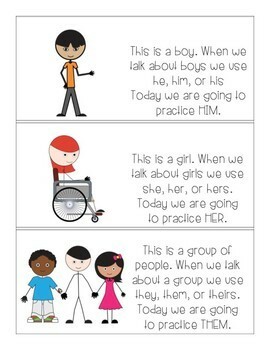 This is a great activity to follow simple directions to target the pronouns him, her, and them. 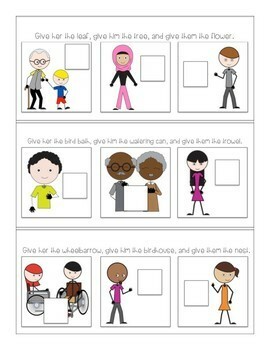 Children are instructed to give each person a different spring themed item. 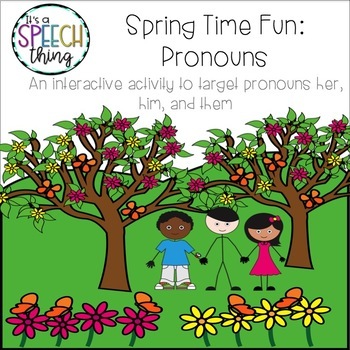 There are thirty different spring items with ten opportunities to practice each pronoun. 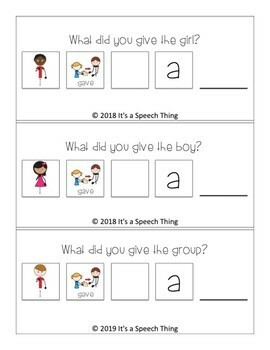 Once students have completed the receptive portion, there are simple sentence strips to help them expressively state what they gave each person (ex. I gave HER the flower).